Sure, The Matrix trilogy featured a massive amount of stunt work and training too—not to mention a few gruesome injuries—but it’s still eye-opening to witness how confidently Reeves handles guns in real life. Recently uploaded by Taran Tactical and posted to Reddit, Reeves can be seen filmed at an outdoor shooting course absolutely “shredding” a slew of fixed targets. 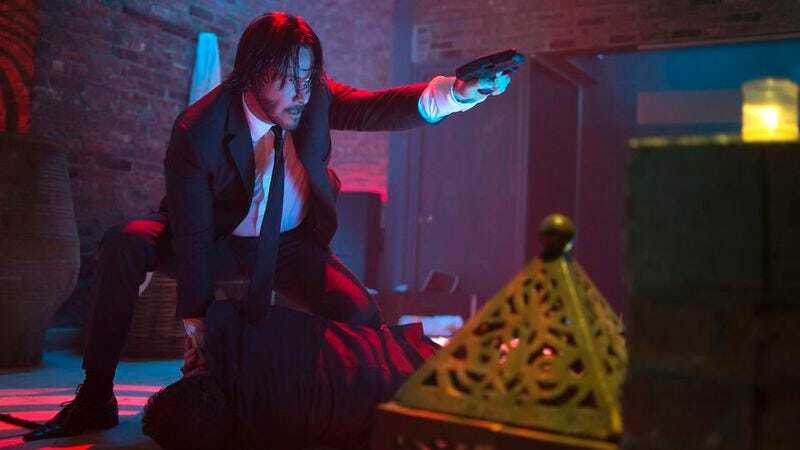 Cinematic gun work can be very hit or miss, but judging by this video, Reeves has basically become one with the once-retired hitman John Wick. John Wick: Chapter Two hits theaters on February 10, 2017.